Beautiful country homes with magnificent outdoor space. This pretty Georgian house stands on the edge of the village with far-reaching views. It’s been in the same family for a number of years, so the incoming buyer would most likely want to update the interiors, but it has lots of potential, with a series of handsome reception rooms and good-sized bedrooms. 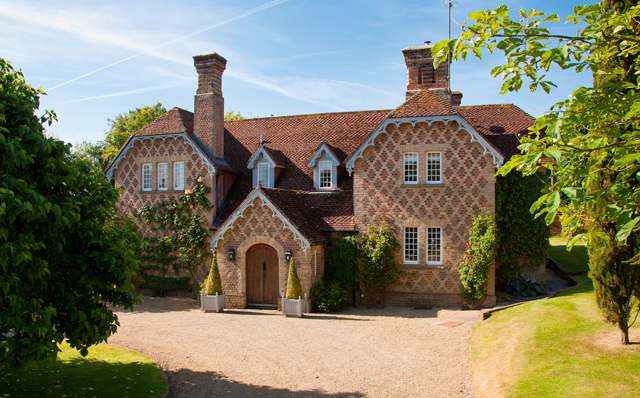 Originally a pair of cottages, the house was sold out of the Savernake estate in the 1970s. It has a large kitchen/breakfast room (with an Aga) and stands in an AONB, just two miles from the shop and mainline station at Great Bedwyn. Marlborough College and St John’s academy are within an easy distance. 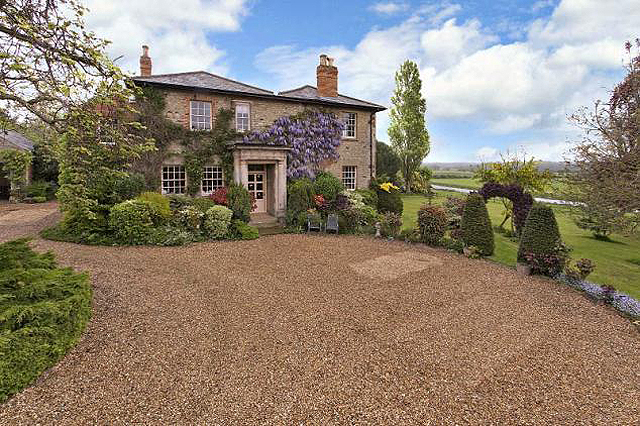 Overlooking the Nene valley and river, this Grade II-listed house stands in magnificent landscaped gardens.  There are three reception rooms, a good-sized kitchen and a cellar. 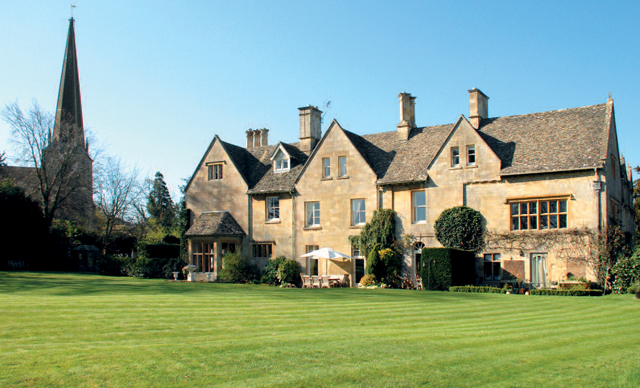 This farmhouse forms part of Mickleton Manor, which was con- verted into four properties in the 1980s. It has five bedrooms, two reception rooms, a private terrace and communal gardens. 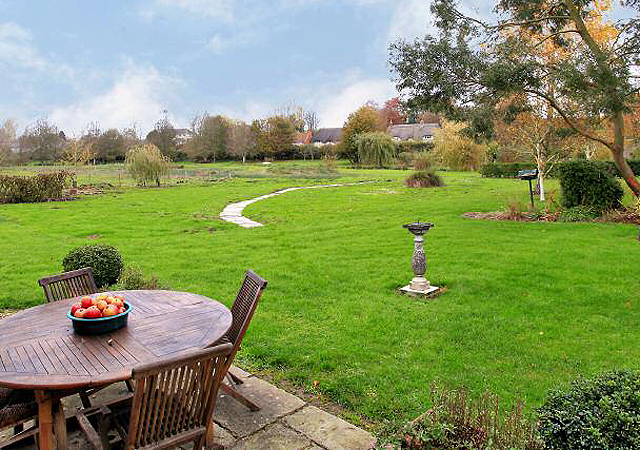 Standing in 10.6 acres and enjoying a beautiful garden, which also has an outdoor swimming pool, this five-bedroom house comes with a large reception hall, two reception rooms, a kitchen with an Aga and a separate breakfast room. 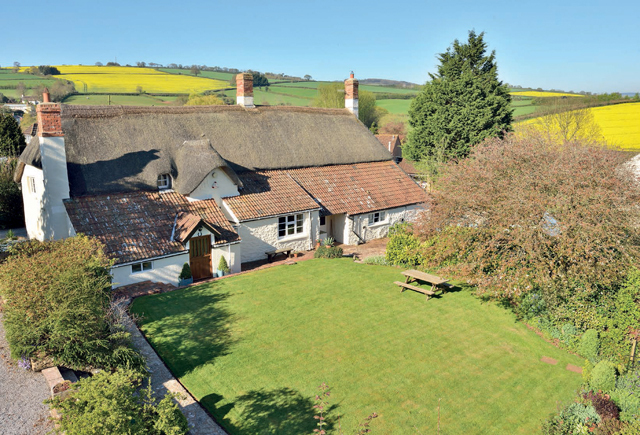 A fine example of a 16th century cross passage farmhouse, Grade II listed James Barton occupies an idyllic setting on the edge of the village, with delightful outlooks over the surrounding undulating landscape. It boasts four bedrooms and a stable block. A well-proportioned 4 bedroom family home located in an outstanding location with views over its own land. 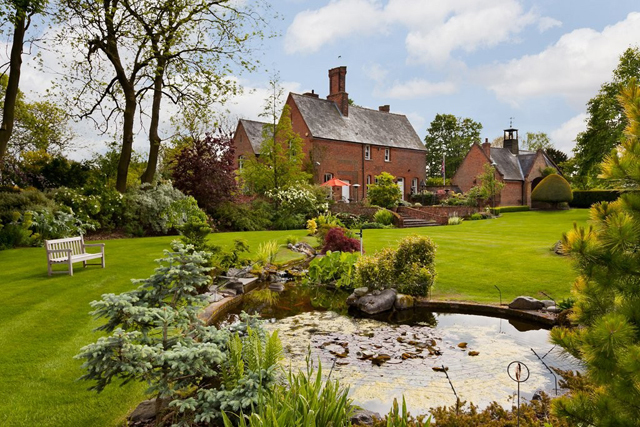 It features a games room, studio, and approximately 6.5 acres. Amport also boasts an excellent pub called The Hawk Inn. A striking nine bedroom period home with a Georgian mellow red brick front elevation. 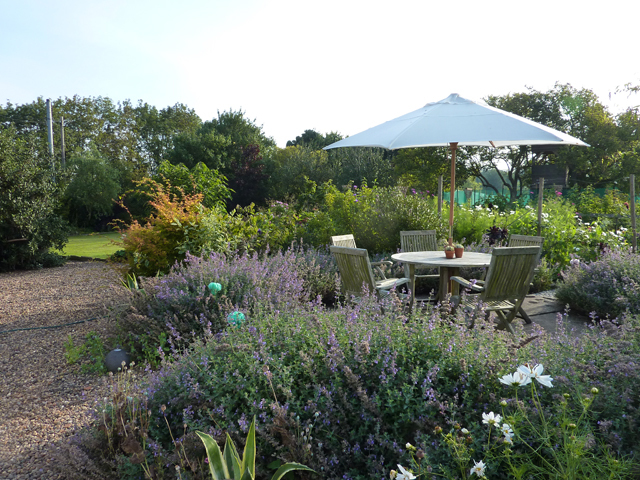 Situated in a peaceful with rolling rural views, the property also comprises a coach house and outbuildings, gardens, an all-weather tennis court, orchard and fields. 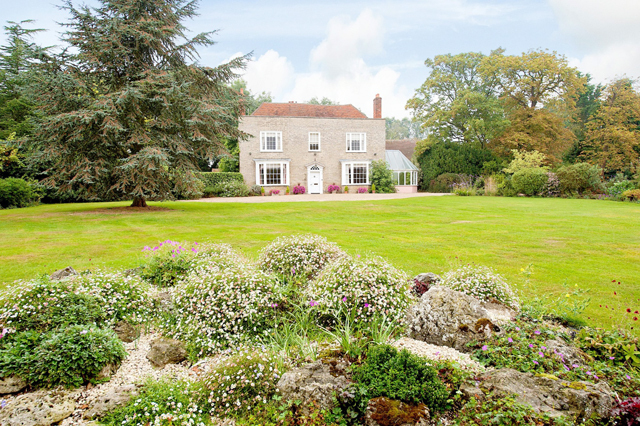 An imposing period farmhouse with adjoining converted barn standing in just over 2 acres. It sits in the scenic Tyne Valley and boasts five bedrooms, beautiful gardens, a triple garage and a paddock. 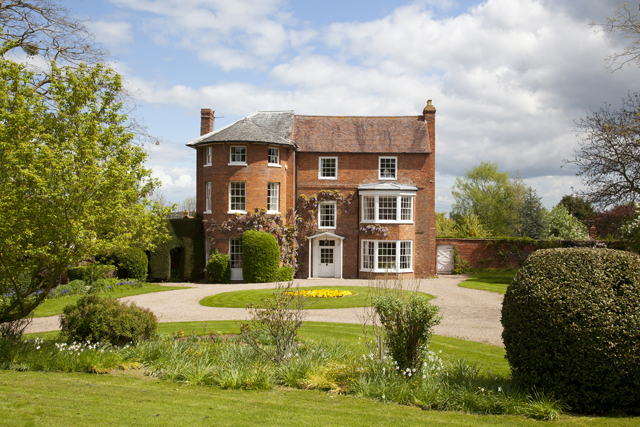 A Grade II listed six bedroom 17th century property that sits in approximately 3.5 acres of beautiful gardens. The formal gardens are laid with a number of separate landscaped areas with a large natural pond, hard tennis court and summer house.